A Phantastron is a special type of an astable multivibrator with very precise timing. 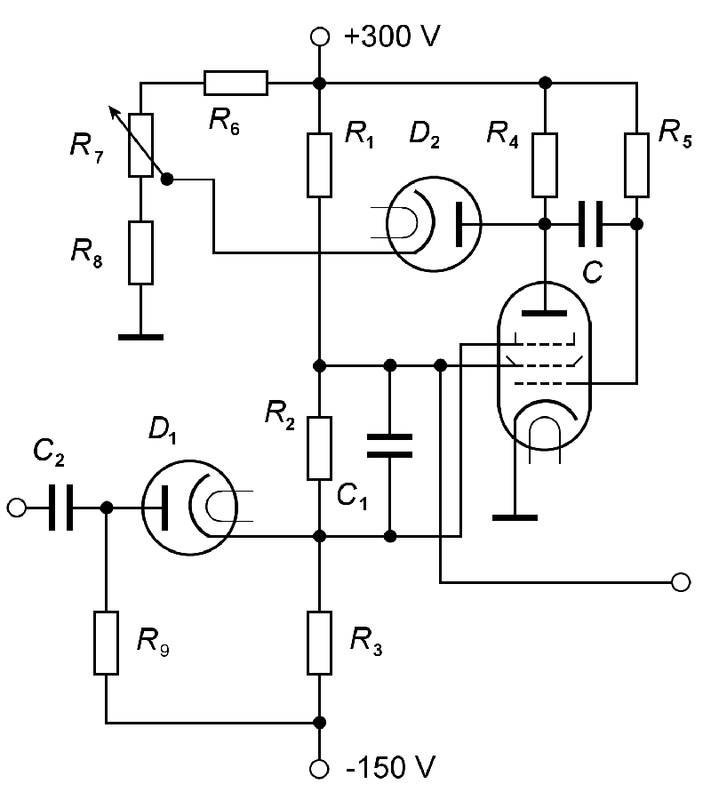 The phantastron-type circuit is considered to be a relaxation oscillator similar to the multivibrator in operation. 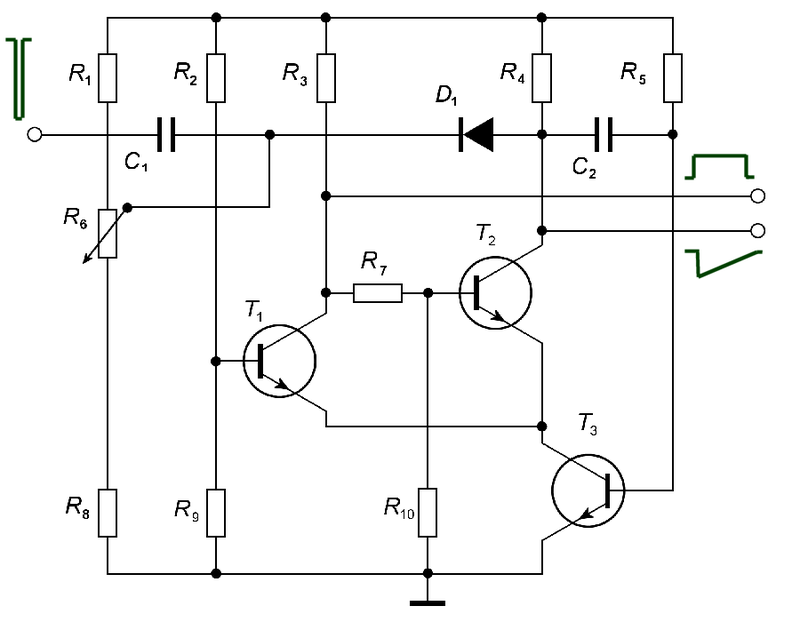 This circuit had special significance for the timing in ancient analogue radars. It is basically a single pentode-type tube (pentagrid tubes are also used), with two or three diodes arranged to control linearity, turn-on or turn-off time, and operating level. It was invented in 1942 during radar development in World War 2 by the British engineer Alan Dower Blumlein. Whereas a multivibrator derives its timing waveform from an R-C circuit, the phantastron uses a basic Miller-type sweep generator to generate a linear timing waveform, rather than the exponential waveform developed by the R-C circuit of the multivibrator. Thus, the output waveform is a linear function of the input (control) voltage, and the timing stability is improved. This d-c voltage allows a remote control of the duration of the gates. Two types of phantastron circuits are used – the screen-coupled type uses an internally generated waveform, generated in the screen circuit to control the suppressor electrode after the action is initiated by an input trigger. The cathode-coupled circuit utilizes uses an internally generated waveform developed across a resistor in the cathode circuit to control operation. Both circuits are classed as the slow-recovery type and provide reasonably fast turn-on and turn-off time. The fast-recovery type circuit uses a separate cathode follower to help speed up operation and provide a shorter recovery time. The relationship between the screen-coupled and cathode-coupled phantastron is considered to have the best timing accuracy, the cathode-coupled circuit has other advantages. For example, it does not require a negative supply and can provide both positive and negative outputs, and it is claimed that for short ranges the linearity or the time modulation is actually better.  The phantastron circuit is used to generate a rectangular waveform, or linear sweep, whose duration is almost directly proportional to a control voltage. Because of its extreme linearity and accuracy, this waveform is used as a delayed timing pulse, usually in radar or display equipment. It is also used to produce time-delayed trigger pulses for synchronizing purposes and movable marker signals for display. For example it is used as a time-modulated pulse, to indicate antenna position at any instant of rotation, or as a range strobe or delay marker.  The principle of using a Miller integrator in a monostable multivibrator as a time-determining element may also be realized with a transistor circuit.